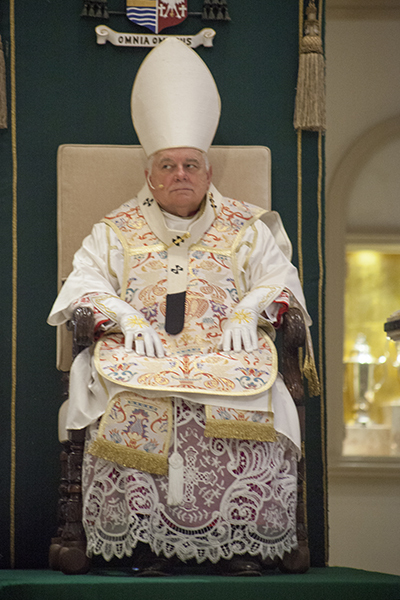 Archbishop Thomas Wenski celebrates Mass in the Extraordinary Form of the Latin Rite Sept. 29, feast of St. Michael the Archangel, at St. Mary Cathedral, during the conclusion of the annual conference of the Society for Catholic Liturgy. In the Novus Ordo Mass, Saint Michael is a little less lonely as the Church also celebrates with him the Archangels, Gabriel and Raphael. These three angels are signaled out for the role they played in Salvation History. These biblical messengers, God’s emissaries as it were, signify God’s transcendence and loving care: Michael (meaning “Who is like God?”), Gabriel (God’s strength) and Raphael (God’s remedy). And, in a few days, the Church will celebrate the Feast of the Guardian Angels. While the whole life of the Church benefits from the mysterious and powerful help of the angels, the Feast of the Guardian Angels celebrates those angels assigned to guide and protect each one of us from our infancy till death. The Catechism affirms: “The existence of the spiritual, non-corporeal beings that Sacred Scripture usually calls ‘angels’ is a truth of faith. The witness of Scripture is as clear as the unanimity of Tradition.” (CCC 328) They are not dead humans “who have earned their wings” but are “personal and immortal creatures, surpassing in perfection all visible creation.” (CCC 330). At every Mass, angels are given a special mention in the Preface acknowledging that our own worship and praise is offered in the sight of the angels. 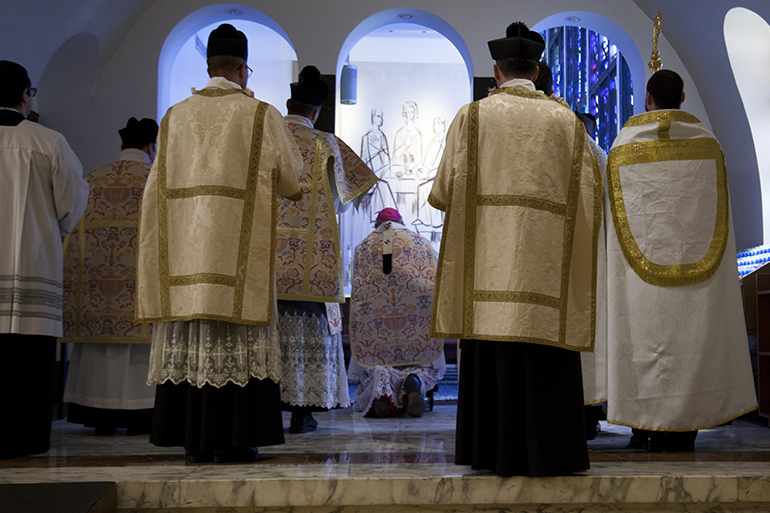 Of course, in a secularized, rationalistic world there is no room for angels just as there is no time for liturgy. For a world closed to transcendence cannot bring itself to admit of the existence of these purely spiritual creatures with intelligence and will any more that it can admit that God matters. Such a world, as Pope Benedict XVI said, can seem like a desert. But into this world an angel was sent by God to announce to Mary that the Word would become flesh in her virginal womb; likewise, Angels appeared at the tomb of Jesus and announced to the women that he had risen as he said.